July 19, 2018 – Langley, BC & Ferndale, WA – Montigo Fireplaces, a leading designer and builder of commercial and residential fireplace products, is pleased to announce that Ultimate Marketing Associates, Inc. has been appointed as Sales Representatives for the California territory (including Reno, Sparks & Carson City, Nevada). – Jonathan Burke, CEO of Montigo. 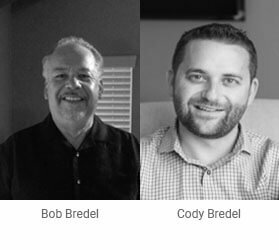 Ultimate Marketing Associates, Inc. was formed in 2005, by Father and Son (Bob and Cody Bredel). Their historic background in the decorative plumbing, hardware and lighting industry has allowed Ultimate to grow into one of the top producing, independent rep firms in California. Today, Cody is the managing principal of the agency and takes care of the day to day operations for the company. His passion is his work and raising his three young daughters with his wife Rachael in the San Francisco Bay Area. Bob serves as the company’s “technical guru” and helps with both parts and service. He also enjoys his eight grandchildren who keep his weekends busy. Michelle Corona is based out of Anaheim, CA. She has been a staple for the company and Southern California since joining over a year ago. She is a proud mother to her daughter and dedicated to her customers. Walter Cox is Ultimate’s “Project Specialist” who has a focus on the builder portion of the business. He enjoys exploring this amazing world with his son Hudson and is always up for watching sports. Mitch Magleby joined Ultimate in early 2017 and has been a great addition to the team. He is dedicated both to the agency as well as his valued customers. Mitch is also liked, because he has season tickets to the Golden State Warriors. Heather Connaughton serves as the backbone and first responder of the office and has been with Ultimate for over ten years. Heather fills her weekends with her two adorable grandchildren. Ultimate Marketing continues to grow and has recently completed a training center with displays and more at their Northern California office in San Carlos. In addition, they will welcome two new team members at the end of this month!